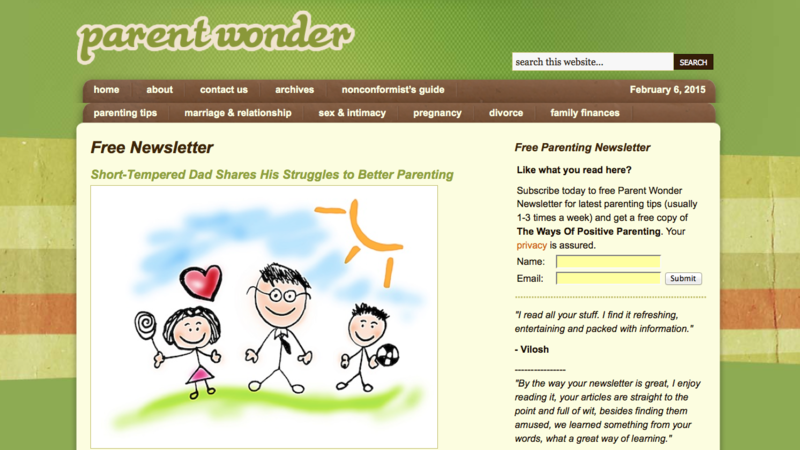 ParentWonder has a new look! In the previous post, I shared with you about a huge project of tidying up my home that I am still embarking on. A clutter-free, spacious home that I really like. So do my wife, J and K.
This is not the end. 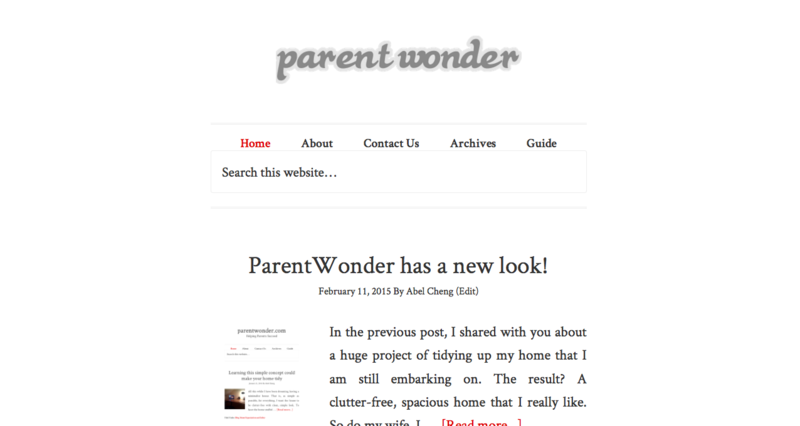 I continue with the cleaning spree and it has now spread to my blog: ParentWonder. Yep, you guessed it right. I “tidy up” the website by removing the unnecessary designs, buttons, links, graphics, and everything else I deem would create distraction on the website. A clean, clutter-free, distraction-free website that you will enjoy looking at… without getting bored. I have to admit, the new look gives you a Zen-like feeling and it comforts the eyes. And now the blog is mobile-friendly! It fits nicely with Apple’s design mantra: Simplicity is the ultimate sophistication. Don’t believe me? Check it out yourself and play around with it if you will.